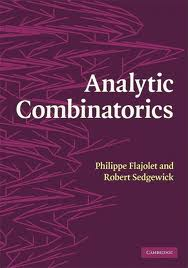 Description Analytic Combinatorics aims to enable precise quantitative predictions of the properties of large combinatorial structures. The theory has emerged over recent decades as essential both for the scientific analysis of algorithms in computer science and for the study of scientific models in many other disciplines. This course combines motivation for the study of the field with an introduction to underlying techniques, by covering as applications the analysis of numerous fundamental algorithms and data structures from computer science. 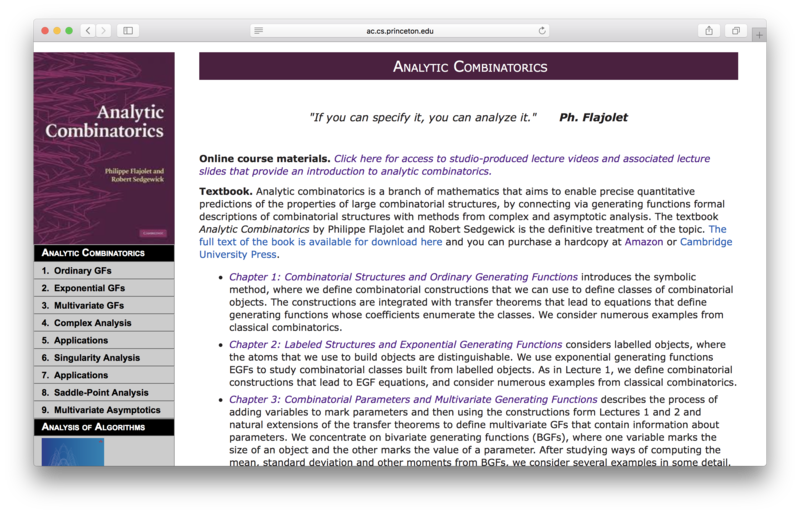 The second half of the course introduces Analytic Combinatorics, starting from basic principles. Prerequisites COS 226 and COS 340 or equivalent background in computer science and mathematics. Office hours: by appointment anytime Monday, CS 319. 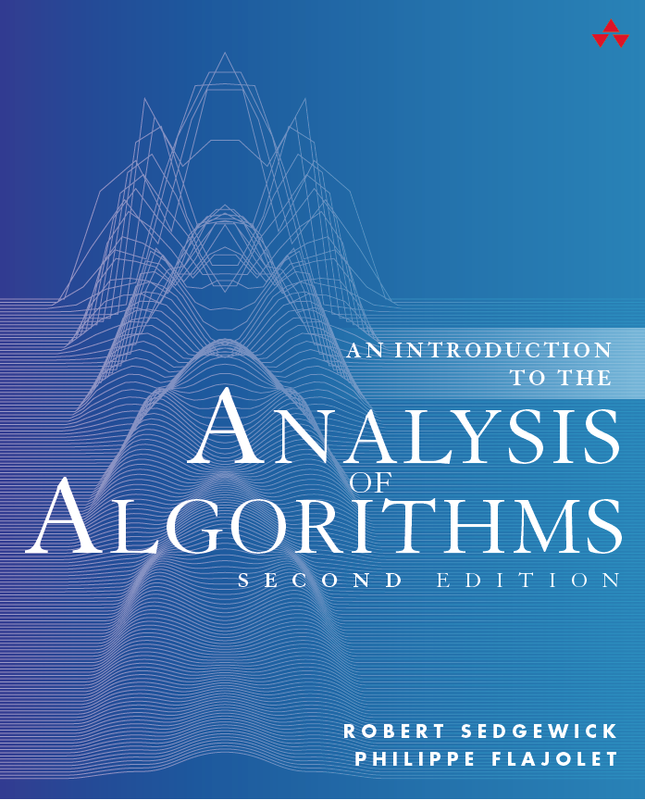 Analysis of Algorithms, 2nd ed. [ Amazon · Inform IT ]. Lectures Available as studio-produced videos for students to watch at their own pace (and rewatch to clear up any confusion and to study for exams), two lectures per week. The first lecture will be a live lecture that places the course content in a CS context by considering a CS application with wide impact. Anyone with an interest in learning what analytic combinatorics is all about is welcome to attend (Monday, February 4, 3:00–4:20, Friend 111). Class Meetings Mondays 3:00–4:20, Friend 111. For exams, exam and assignment preparation and postmortem, and enrichment as appropriate. Except for exams and the first meeting, class meetings will normally last less than an hour and are optional. The first meeting is a live lecture on Monday, February 4. We will not meet on Wednesdays. 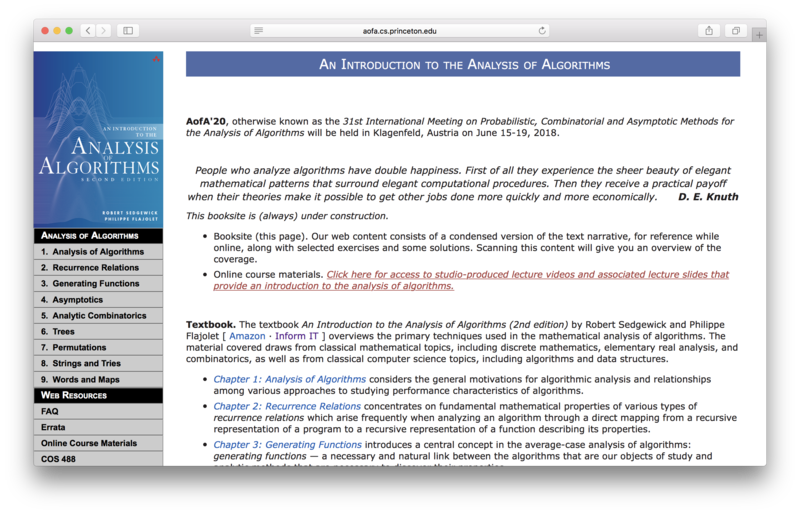 Online course materials Lecture videos, lecture slides, assignments, and other resources are accessible through the "Online Course Materials" tabs on the booksites for Analysis of Algorithms for the first half of the course and Analytic Combinatorics for the second half of the course. 20% Inclass Exam 1 (Monday, March 25, 3:00–4:20). 20% Inclass Exam 2 (Monday, May 6, 3:00–4:20). 50% Problem Sets (posted each Friday, due at 11:59PM the following Thursday). 10% Questions and Answers (due with problem sets). Exams are in-class, closed-book, no-electronics. A one-page cheatsheet is allowed, one-sided for Exam 1 and two-sided for Exam 2. For problem sets, you may work together in groups of two or three (no larger) and discuss approaches to solving problems, but you must document such collaboration and each student must prepare all submitted solutions without assistance from anyone. To be fair to people who sumbit on time and to minize disruption to our grading workflow, we need to deduct points at our discretion for late submissions, but it is always better to submit than to not submit. Copyright. All rights reserved. None of this material may be reproduced, stored in a retrieval system, or transmitted, in any form or by any means, electronic, mechanical, photocopying, recording or otherwise without prior written permission. Permission is granted to instructors who adopt the textbooks to use this material in conjunction with their course.